I desire to worship and to serve God with all that I am – not only with my mouth, but with my actions, in my workplace, and in everything I do. As part of this, I have embarked on a journey of “worship without words”. I am so used to singing my praises to God. I love to speak, sing and declare things to Him. Song has helped me to memorise His word, and I have used it to declare His promises over myself and over others. In the last couple of years, I have been playing keys at my church and this has been a journey in itself. As part of this, I have been more attuned to the work of the Spirit through music, even without words. I realise the powerful ministry musicians have as they herald the presence of God through their playing. 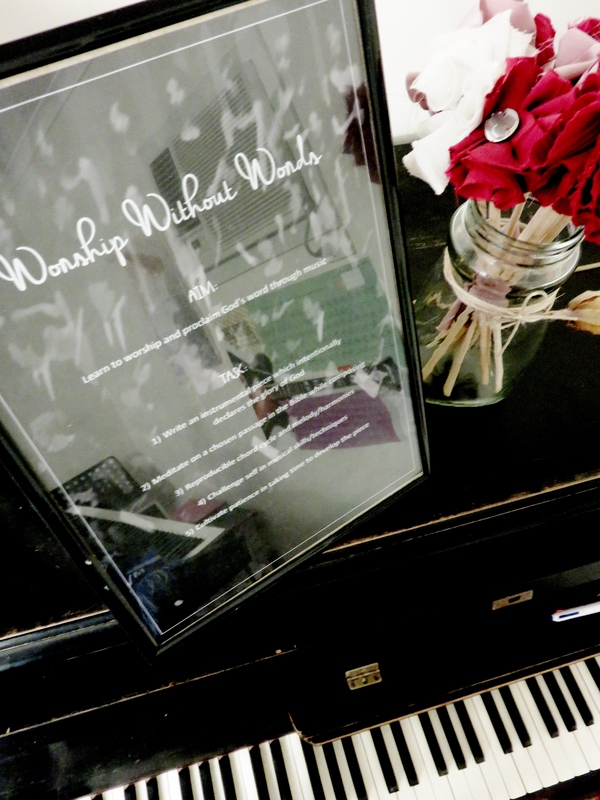 I want to do this as I serve the Lord with music – not only with my voice, but also as I play second keys, piano, cello and anything else. I want to put effort into improving my musical skills as I play and call forth the Kingdom of God. All that I have belongs to the Lord, and I will praise Him with everything I have. “Genesis to Revelation” is a musical journey, but it is also a spiritual journey. As I compose these short musical meditations, I want to experience more of my Lord. I want to see what He sees, and be attentive to His voice, to understand His mysteries and comprehend His ways. As much as this is a little journey for myself, I hope that these pieces will also encourage you in your walk with the Lord. Blessings in the Name of our Lord Jesus Christ! The story of the great flood is pretty crazy and pretty powerful. It’s crazy how corrupt man became. It’s crazy to see Noah’s faith and obedience to God in such a time. God’s justice is powerful. His word is powerful. His covenant with man and with every living creature endures forever. God makes a powerful promise that despite the inevitable sin in man’s heart, He will never destroy the earth. Instead, He makes a way to dwell with man for eternity- redemption through the blood of His Son, Jesus Christ. Barren and with an unfulfilled desire, Hannah brings her anguish before God and sees Him restore her weakness with His joy. He is a God of miracles, a God who hears, who knows our innermost desires, and answers in His faithfulness. Oh please make more of these. Please pretty please!! They were such a blessing. Thank you for giving the body of Christ this!! Thank you for your encouragement 🙂 I’m working on it! Bless you!